One of the most challenging tasks for a do-it-yourself self-publisher is laying out a dust jacket for a hardcover book. To create the artwork for a jacket, it’s important to work closely with your book printer. Many of the crucial pieces of information you’ll need are only available from the people who will manufacture your book. For instance, the width of the spine is determined by the bulking of the specific paper used for printing your book. This is expressed as pages-per-inch. A typical book paper is 400 pages per inch. This paper would create a spine width of 1.0″ for a 400 page book. But a dust jacket needs to take into account the thickness of the boards that make up the case, and the rounded corners of the case. Because the cases of hardcover books extend past the edges of the paper, a 6″ x 9″ book will need a jacket that’s approximately 9.25″ high. Why do I say approximately? You cannot determine the measurements for your jacket without your printer, as I said. Even with precise measurements, each printer has their own favorite paper stock, their own bindery equipment, their own cloth or paper covers for cases. All these elements contribute to slight variations from printer to printer. Some printers will supply you with a template from which you can build the document that will become your book jacket. Some will only give you dimensions, or formulas. Click to enlarge. Download a copy at the link below. This sample template shows the layout for a typical 6″ x 9″ dust jacket. The actual flat dimensions of this jacket are 9.25″ x 20.095″ which will allow for 3″ flaps. Using this template, you can see how the dimensions your printer gives you will help create your own jacket artwork. The allowance for “turn,”—or “internal” bleed—is important because if you have an illustration that covers the entire front cover, you want it to wrap around that front edge so you don’t have a stripe of an unwanted color creeping over onto the cover from the front flap. You’ll also note at the top of the diagram “ruler stops.” I always calculate these measurements and use them to create guides for my jackets. It helps me visualize the various elements of the jacket and verify that the measurements are correct. For instance, on my sample, if all the horizontal measurements don’t add up to 20.095″ I know I’ve made a mistake somewhere. Normally in the development of the book design, the front cover is designed separately, and well before the rest of the jacket. All the parts can be done in pieces and then assembled on the master template. I’ve put a link below so you can download a PDF of this layout. The PDF is an actual-size document so you can see exactly how it’s constructed. Whether you want to do your own dust jacket or not, if pays to know how they are put together. And if you have any questions about how this works, leave them in the comments and I’ll try to help out. Please explain how to make a profit from self-publishing a large format, full color, perfect bound hardcover coffee table style tome when the cost of printing them through websites like Blurb is ridiculously high? It can’t be done. Even you have to admit that the so called “self-publishing” game is mainly for novels, or vanity books. No Alex, that’s not even close to accurate. 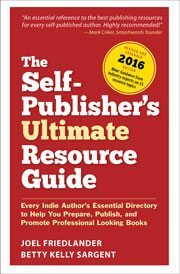 Many self-publishers for many years have produced a wide variety of books successfully. But if you pay too much for the books, of course you will price yourself out of the market, that’s just basic business sense. I do know people making a profit on Blurb books, but they have a business model that allows either a very high list price, or they use the books for an ancillary purpose and make their profits off other products. You can produce a full color coffee table book but I would not print it at Blurb if you want to sell them commercially. I’m looking overseas through alibaba.com. When you look a the difference in printing costs, one hardly blushes to say that’s a great option for DIY author/publishers. But it will leave storage/warehousing and distribution in your lap. But many indies account for that anyway. The important thing to remember is to allow enough bleed around the design, also on paperbacks most printers add a score front and back about 6mm in from the spine to make the cover open without pulling the spine. How do i figure the width of a catalog spine once I receive the bulking information from the printer. I have to prepare the file in Indesign. Ed, the bulking information should be in the form of “000 ppi” which tells you how many pages per inch. Then you simply multiply the number of physical pages in the book by the ppi to get the spine width. So, for instance, if your printer tells you it’s 440 ppi, and your book is 220 pages, your spine will be .5 inches (440/220). Why did they even invent book jackets and why not for paperbacks as well as hard covers?????? I mean, the covers are already hard enough, so why do they need a jacket, is it just so they can retain their value or look pretty? In my experience, the book under the jacket is usually pretty enigmatic as far as cover titles go. While we’re talking about books, why do a lot of books have two or three blank pages in the beginning and end of the book? There are paperbacks with jackets, but it’s not common. Originally they were “dust wrappers” intended to be discarded once you brought the book home. Gradually the jacket became more important than the cover. Blanks are added at the end of a book to correct the pagination for offset printing, which is done in multiples of 16 pages. Blanks at the front of casebound books are usually flyleaves, and not actually a part of the book itself. Joel, what is the paper weight of high-quality dust jackets, exactly? Paper type? It seems heavy-duty. If you are printing at Lightning Source, I strongly advise using the templates they generate. As an extra, you will get a free bar code with the template. Jackets are typically printed on 100# coated stock (sometimes called “enamel”). Interiors are more likely to be 50-60#, so it is quite a bit heavier, and the coating, necessary for color printing, also gives the jacket stock some extra heft. Any problems with Lightning Source’s template? Are the dust jackets put on by people or robots? Are jackets put onto covers before the pages are bound into the covers or after binding? Cream pages are often (always?) thicker than white pages. Why aren’t they made with the same bulk? Jackets are wrapped onto the cases after the book blocks are bound into them, usually by machine but, in the case of odd or large sizes, sometimes by hand. I don’t think there’s a relationship between bulking and color. The problem is that digital printers offer virtually no paper choices beyond these two. Take a look at the paper possibilities available in offset printing and you’ll see there are dozens, if not hundreds of choices. I have read with interest on book jacket layout and bulking of papers. Here in the UK we work in mm and offer the same layout sheets for covers, PPC’s and jackets making allowances for the rounding and backing or square back of the case. these are downloadable from our website. Thanks for the informative comment. I also like the downloadable templates you provide on your website and will link to them for publishers who are using metrics-based standards, they are quite good.